The Canadian PR is hot choice among individuals and families looking for immigration. The people across the world, interested in immigration look out for the different ways to get the PR in Canada. If you are one among the aspirants, the Express Entry must be your first choice like thousand others. Well, if you want to explore a bit more, there are options apart from EE as well, which can get you the Canadian Permanent Residency (PR). Why a PNP is the best way to get the PR in Canada? The PNPs (Provincial Nominee Programs) can be an excellent choice for you to immigrate to Canada through a particular province. The Provincial Nomine Programs, not only offer you nominee certificate to ensure your PR, but their process requirements are also flexible most of the time as compared to the federal programs. Let’s discuss one of the best PNPs being offered by the Saskatchewan province in Canada to provide PR, i.e. SINP (Saskatchewan Immigrant Nominee Program). 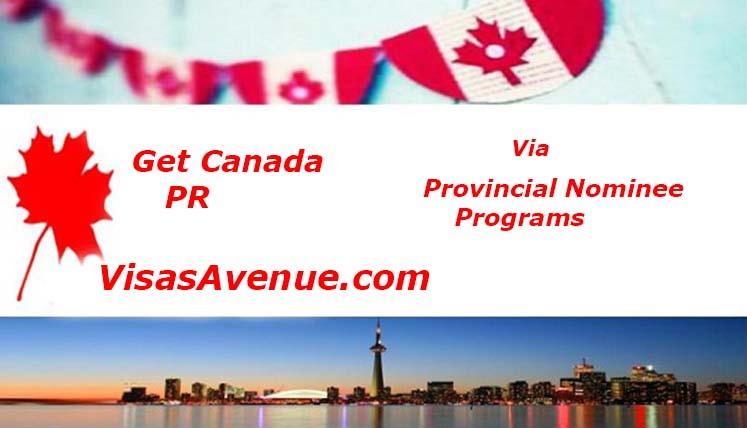 How can you get PR in Canada through province of Saskatchewan? International Skilled Worker Category: This particular category has been designed for the overseas skilled workers, who wish to live and work in the province of Saskatchewan. Saskatchewan Experience Category: It is for the individuals from overseas, who are presently working in Saskatchewan. Entrepreneur and Farm Category: This category is for the individuals who are willing to invest and actively control a business or farm operation in Saskatchewan. Uncomplicated process requirements with complete provincial support. The SINP is the crucial method or process for getting the PR in Canada; however, you also need to apply to IRCC (Immigration Refugee Citizenship Canada) for permanent residency with the nomination letter. How to get PR through SINP- International Skilled Worker Category? It’s the most popular SINP category among the foreign skilled workers looking to get PR in Saskatchewan. It’s for the candidates who have got the job offer from Saskatchewan employer in the skilled occupation and who fulfill the parameters of this particular category. Below are the key eligibility conditions. Need to get an offer of employment (fulltime) from a Saskatchewan employer. Require showing a job approval letter for SINP. The offer must e in NOC –level A/B/0 or Saskatchewan designated trade. How to apply in SINP to get the PR in Saskatchewan? The Saskatchewan gets the number of nomination for every year from the federal government of Canada and the SINP accordingly decides the application intake threshold for the year. To apply in SINP, you are advised to get your file prepared in coordination with the Canadian immigration expert at Visas Avenue. The expert at Visas Avenue will not only help you get your file ready for the SINP, but also support you in applying in the program online and follow the instructions accurately. You may call the visa and immigration expert at the contact nos. 011-48447777/ 080-46668222 to fix the free appointment and discuss your immigration plans and visa category. You may also send your queries in this regard to info@visasavenue.com. The Visas Avenue is the top Immigration Consultancy Service for Canada in India. Why it’s the best time to apply for Canadian PR from India? I want to apply for PR for sketchwan . Hello Jasmeen, Please Share your CV:adarsh.mishra@visasavenue.com for details. We check your details and inform you. Hello Ravinder Kumar, Please share your CV: adarsh.mishra@visasavenue.com or fill this form: goo.gl/cxyV5T for details. Hello Sulakkhan singh, Thanks for connecting with us. For details please share your Updated CV:adarsh.mishra@visasavenue.com. we check and reply you ASAP. I want to get migrated to canada through sinp . I am eligible?I am a Btech student. Hello ANU AUGUSTINE, Thanks for connecting with us and sorry for the reply too late. for details please share your Updated CV:adarsh.mishra@visasavenue.com.we will check and inform you. I want to apply for Saskatchewan pr. I want to know that can I apply for saskatchewan pr with 6 months field related experience or I have to minimum 1 year experience?